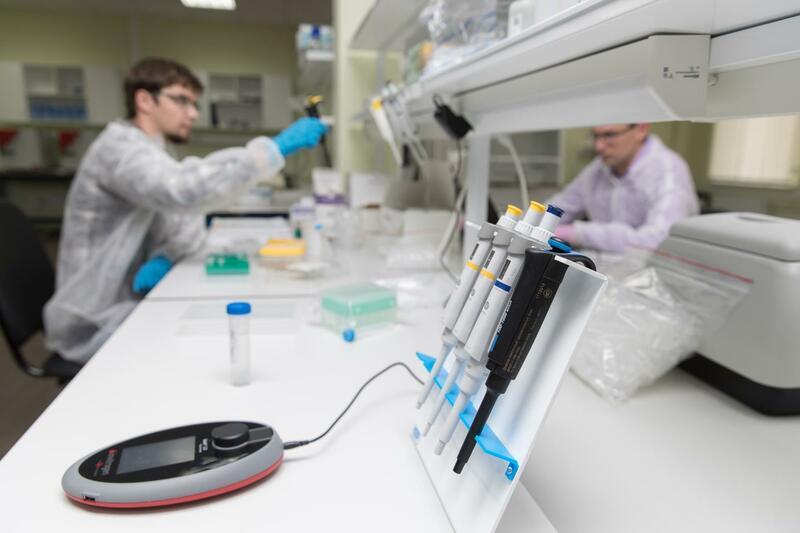 The scientific group of Peter the Great St.Petersburg Polytechnic University headed by Professor Andrei Kozlov published the results of a study devoted to the search of solutions for creating the HIV vaccine. During two years, with the support of the Russian Science Foundation's grant, researchers studied features of transmitted variants of HIV-1 virus. This type of HIV transmission is most typical for Russian Federation. Within the framework of the project, scientists have studied blood samples of injecting drug users with acute or early stages of HIV infection. The transmission of only one viral variant was detected in 70% of cases. These data were obtained by the method of single genome analysis (SGA), which allows to analyze 20-30 single genomes. In addition, the scientific group used the next-generation sequencing approach (NGS), capable of analyzing up to 5000 genomes. Thus, scientists managed to establish that all viruses are the "descendants" of any one virus particle. This phenomenon is called the genetic bottleneck effect. The research results are described in the article "Characterization of the Transmitted Virus in an Ongoing HIV-1 Epidemic Driven by Injecting Drug Use" published in the journal AIDS Research and Human Retroviruses.